Custom Online Signs specializes in Custom Vinyl Banners. Headquartered in Indiana, with over 40 years of experience in the field of designing and printing, we offer high quality custom vinyl banners. With our custom vinyl banners you can advertise your business, product or service. At Custom Online Signs you can design, preview and order custom vinyl banners online without any risk. Besides, we have in stock a diverse collection of ready made banners suitable for all types of occasions. Our custom vinyl banners will make a big impression when you are looking to announce special events or attract and motivate customers. Custom vinyl banners from Custom Online Signs are made of thick and durable vinyl. Our custom vinyl banners are suitable for both indoor and outdoor use. We provide high quality banners such as happy birthday banners, trade show banners, welcome banners and sports banners for specific purposes. 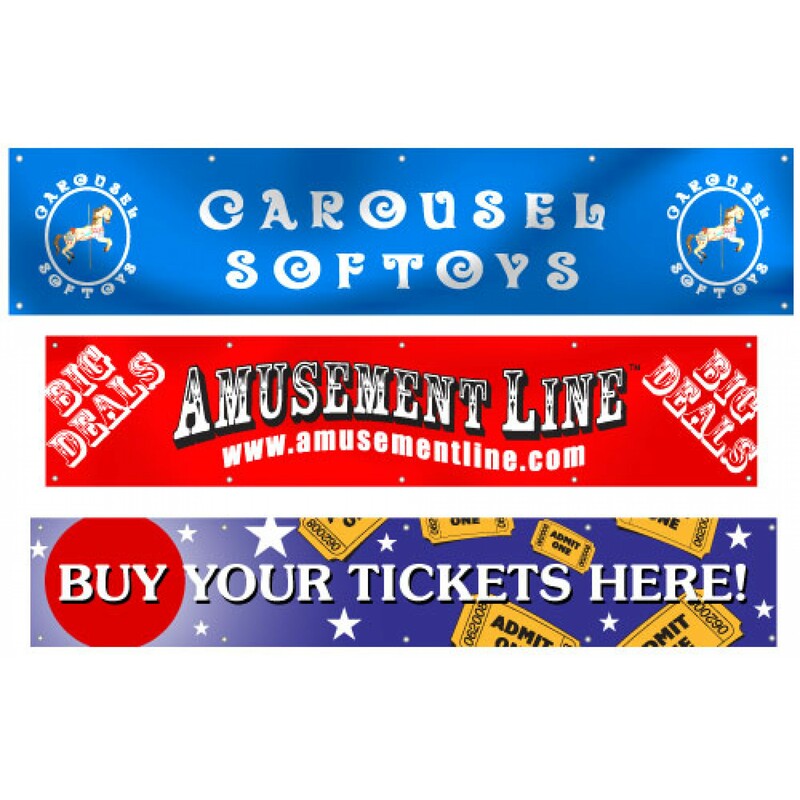 Our custom vinyl banners look exactly the way you want because from Custom Online Signs you can design them right here using our online banner design tools. For your custom banner you can choose from many colors, shapes, fonts, graphics, shadows and special effects to match your special events, promotions, grand openings and more. You can customize it with your own text messages in just a few minutes. The unique online design features of the online design tools allow you to design, preview and purchase your own custom vinyl banners from the comfort of your personal computer. Our user-friendly design process does not require any designing background; you can design with just a few clicks of the mouse. You can design your own banner or allow our in-house professionals to assist you in designing. Our designers will convert your ideas into colorful print. Vinyl Banner 4x6 feet. Premium 13oz exterior vinyl material with brass gourmets every 24 inches alon..
Vinyl Banner 2x4 feet. Premium 13oz exterior vinyl material with brass gourmets every 24 inches..
Vinyl Banner 2x6 feet. Premium 13oz exterior vinyl material with brass gourmets every 24 inches..
Vinyl Banner 2x8 feet. Premium 13oz exterior vinyl material with brass gourmets every 24 inches..
Vinyl Banner 2x10 feet. Premium 13oz exterior vinyl material with brass gourmets every 24 ..
Vinyl Banner 2x12 feet. Premium 13oz exterior vinyl material with brass gourmets every 24 inche..
Vinyl Banner 3x4 feet. Premium 13oz exterior vinyl material with brass gourmets every 24 inches..
Vinyl Banner 3x6 feet. Premium 13oz exterior vinyl material with brass gourmets every 24 inches..
Vinyl Banner 3x12 feet. Premium 13oz exterior vinyl material with brass gourmets every 24 inches alo..
Vinyl Banner 3x8 feet. Premium 13oz exterior vinyl material with brass gourmets every 24 inches alon..
Vinyl Banner 3x10 feet. 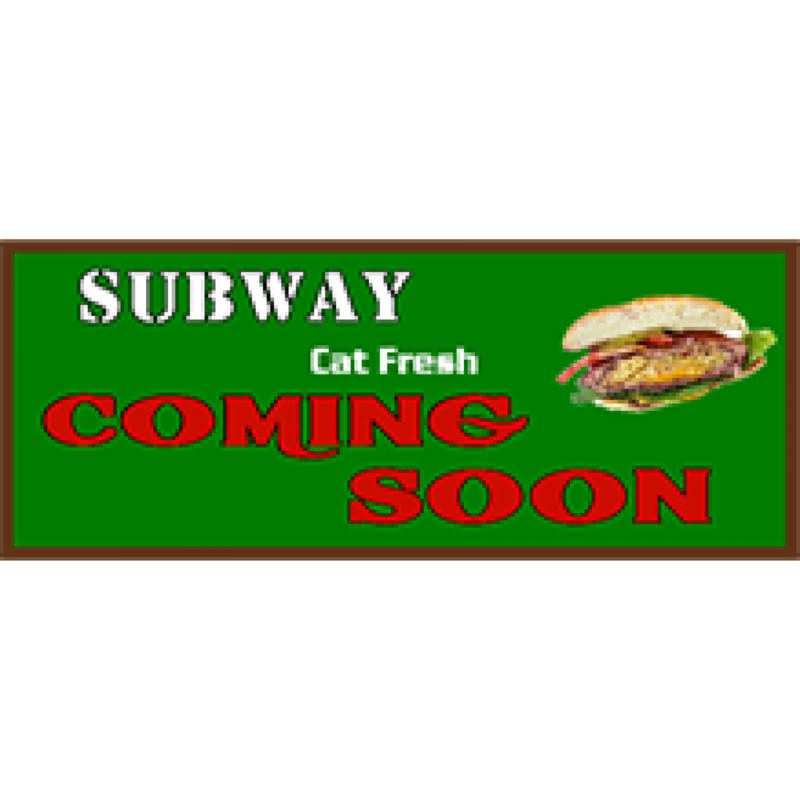 Premium 13oz exterior vinyl material with brass gourmets every 24 inches alo..
Vinyl Banner 4x8 feet. Premium 13oz exterior vinyl material with brass gourmets every 24 inches alon..
Vinyl Banner 4x10 feet. Premium 13oz exterior vinyl material with brass gourmets every 24 inches alo..
Vinyl Banner 4x12 feet. Premium 13oz exterior vinyl material with brass gourmets every 24 inches alo..